The final seven seconds ticked off and the Gator heave proved errant. 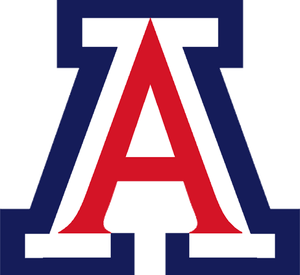 Arizona had just outscored the number five team in the nation, bucketing the game’s final seven points including a thrilling runner. And in that moment – the clock at zeros, the scoreboard reading 65-64 – the man responsible for that runner stood amongst the fans. We can talk about what position Mark Lyons plays, but ultimately I think this is his favorite spot: the one where he’s winning. Because it was unquestioned who was going to have the ball and what he was going to do with it following the Kenny Boynton missed free throw. It wasn’t even worth a timeout to talk about it any further. That timeout was taken in May and the conversation had over countless workouts, team building, and trust. He stood atop the courtside seating and reveled in being revered. It was beautiful. A bridging of the gap between protagonist and star, in this case two entities starved for success. Because following that moment, it all got a little more real. All the talk of scheduling and early tests and true point guards was briefly set aside as the travelled young man and the weathered fan base basked in the glow of accomplishment. For the past six seasons, the roof of the McKale Center has been methodically reaffixed to its foundation. A byproduct of the shaky transition from Olson to Miller. Saturday was the game to blow the top right back off. 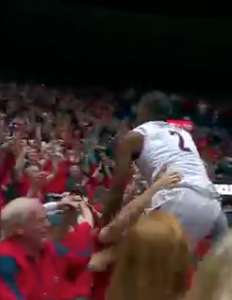 By many accounts McKale was as loud as ever; because people knew. That shaky transition has afforded a fan base the perspective to appreciate the magnitude of these moments. Because they don’t happen often. We don’t often get to see the Solomon Hill’s of the world enter college and develop so dynamically. The type of player who hit just four three pointers as a freshman and missed countless dunks grow into the deft and creative slasher he’s become. A leader. The player who twice found his way artfully – beautifully – to the basket for the most critical of stretch baskets Saturday night. And while it’s grossly cliché to say a given man willed his team to victory, I’m at a loss for what else to call Hill’s defensive pressure at the close of each half. Solomon Hill’s are rare. And that was the magic of Saturday’s victory. It became the manifestation of more than a night’s effort. While this may be a completely new generation of Wildcats, it’s again the program we recognize. Is there season left to be played? Are there challenges remaining? 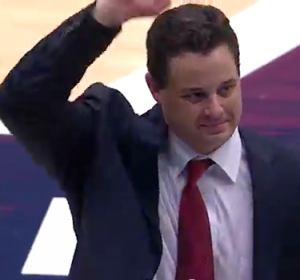 Did Arizona win a game it very likely should have lost? Consider this a resounding, yes. But that’s all a part of the excitement. To know that if Nick Johnson needs to be the best player on the court, he can be. To know that if the team needs critical buckets in a stretch run, Grant Jerrett can hit those jumpers. To know that if energy is lacking, Kevin Parrom’s number will be called. Well, let’s just say we already knew about that.